Works with "Active Desktop" enabled. 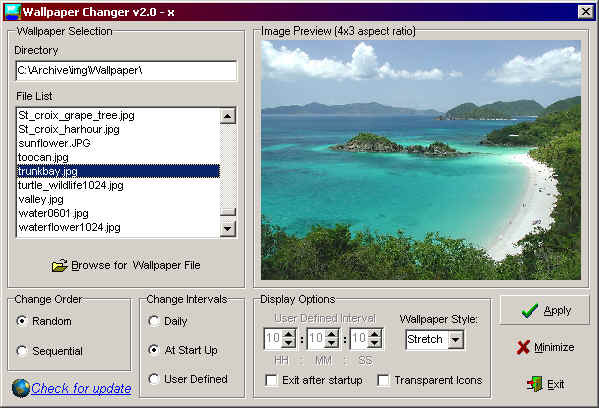 Automatically change the wallpaper on your desktop at a user defined time interval. You can even choose jpg files when you are using Microsoft active desktop. For a limited time, registration includes all software on this web site and entitles you to lifetime updates. Currently, the software includes Reversi, Directory Replicator and Wallpaper Changer. BONUS! Registering this software, automatically registers you for the other software on this web site.